It's Cinco de Mayo and for us Mexican food fans, it's another excuse to have some yummy Mexican food. For those of you who didn't lock last week (or before), it may be a reason to drown your sorrows in Tequila (I don't drink and I didn't miss locking a rate) since the benchmark bond continues to sell off, driving rates higher. 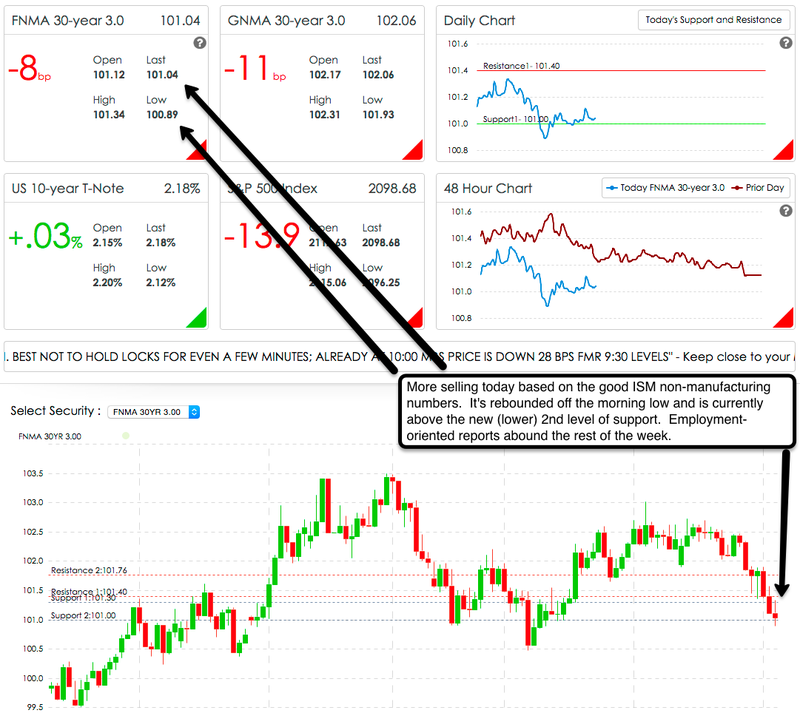 Along with a few other bits of data, the big releases over the next three days are all employment related with the ADP Private Payroll report tomorrow, Initial Jobless Claims on Thursday (just like every week) and the Non-Farm Payrolls report and Unemployment Rate on Friday. Friday's numbers are supposed to be MUCH better than last months and if they come in anywhere close to expectations, rates could continue to get worse. 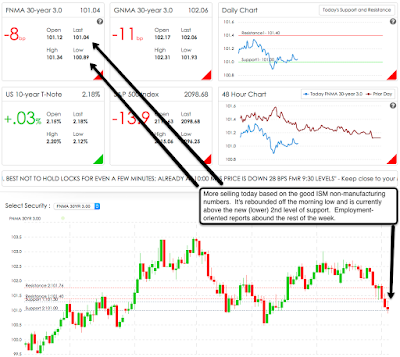 On the positive side, the RSI (Relative Strength Indicator) has a reading of oversold but that may not save us since the benchmark bond is knocking on the door of the 2nd support level and the next level of support after it breaks through is the 200 day moving average which is about 30 basis points below the 2nd level of support. If it were me, I'd lock today to be safe and if rates improve over the coming weeks, float down to take advantage of that improvement. I'd love to earn your business and hopefully providing information like this is one way I can do that. Please feel free to call me at 702-812-1214 if I can help you with anything mortgage-related. Make it a great day.